Writing about Frankie Laine’s singing style, including his emotional conveyance of a song, is nothing new for me. This feeling and intensity that Frankie displayed in every recording I’d heard years ago is what originally piqued my interest as a young teen. Of course, as I was later to learn, this exuded emotion was evident in every song he sang. His vocal chords must have been in perfect alignment, or perhaps his heart had been created with a special touch of Divinity. Whatever the case, I am certain that Frankie was blessed with a gift both rare and unique. In return, this musical intensity is his gift to us. If Frankie sang a happy, upbeat song, he conveyed happiness. If he sang a love song, he impeccably imparted that loving feeling to the listener. He was a passionate singer! I consider myself incredibly lucky to have had the fortitude to have sought out my idol Frankie Laine. When I first met Frankie in 1985, he allowed me to spend the entire day with him. It was just the two of us going about his business that day. During this visit, he took me to his home on Point Loma in San Diego, and we talked and drank a beer! He gave me a tour of his home. He took a nap while I looked through the pile of records in his music room. Indeed, I was very fortunate. I sometimes wonder whether a fan could enjoy a similar experience today—meeting a star for the first time and be treated with absolute trust. Perhaps so, if that star were Frankie! I have been to Frankie’s home for visits since that initial meeting, but I will always especially treasure my first visit with Frankie. It’s little wonder that Frankie sang with such feeling. During my 1985 visit with Frankie—within the time span of seven hours—I saw him reveal a bevy of emotions. I witnessed him laugh, happy, serious, angry, and I saw him cry. Years after my initial meeting in 1985, while at Frankie’s home in 1999, we talked about his career. 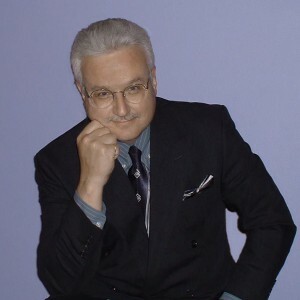 He related to me that his original secretary, Muriel (Sue) Moore, had, over the years, saved two of everything that was released regarding Frankie Laine. One of each item was for Frankie’s personal archive. These items included records, transcriptions, mementos, specialty records (the fan club disc, etc. ), and several photographs. My interpretation of a song stylist is a singer who uses his or her voice in the way individual emotions dictate. There is no particular concern for diction or exactness (other than staying on pitch). The artist simply sings the way he or she feels—giving a song a unique interpretation. If the singer is good enough, a distinctive style is born. This individuality doesn’t just distinguish the singer, but it also entices a certain type of audience to relate to the song stylist. The key is to possess a talent that is exceptional and attracts a large audience. Frankie Laine and a few others, including Elvis, became successful song stylists. A mainstream singer possesses a pleasant voice and is technically accurate, but this type of artist sings lyrics without emotional involvement and, in many cases, puts forth an effort that is both uninspired and lacking in individuality. The majority of these singers have made many recordings. Most people are content with enjoying these mainstream singers and their songs without looking for added stylistic artistry. The fans of song stylists, however, appreciate a great performance the way a wine connoisseur appreciates the finest vintage. Commercialism and repetition seem to be the ultimate musical winners. This is evident on most radio stations featuring a music format. Even the oldies radio stations play the same songs repeatedly because they were the hits, and they make money. Sadly, most of the rest of the songs those featured artists have recorded are overlooked and never played on the radio. For every smash hit an artist has, one can bet he or she has several other recordings that are fresh, new, and exciting but never are played. We are a commercial society and seem to be satisfied with the status quo.